Hi Everyone! It has been a long time in between posts, and I will have a lot to share soon. 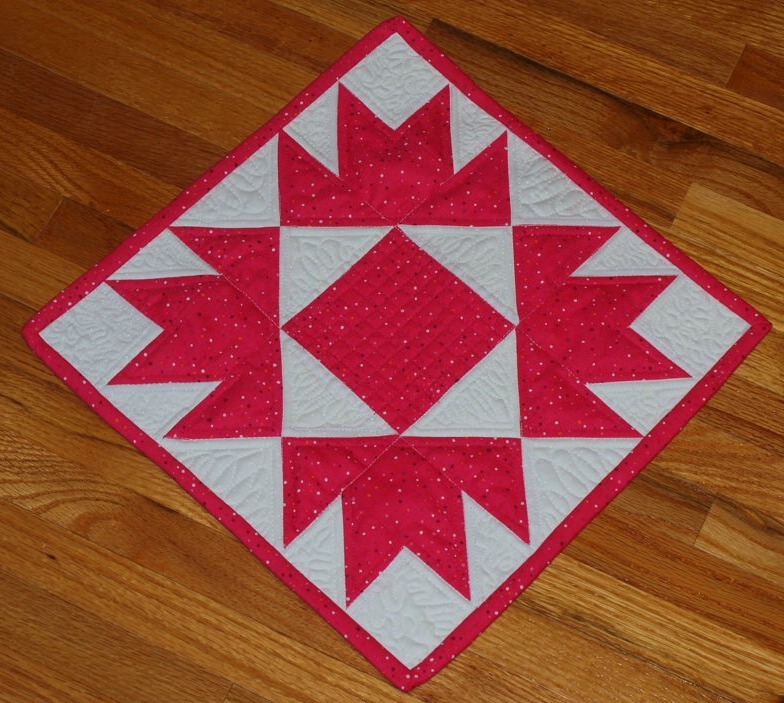 Today is another Fat Quarter Shop Sew Along, and this time it is the Union Square block. There is a little more involved with making this block, and if you take your time it is well worth making sure the points match. This is such a nice picture with sunshine in it (we have had a very long winter, and I can't wait to see the sun again!). I decided to make mine into a mini quilt. I was able to try a few new ways of quilting, and with the smaller size, it was easier to maneuver while free motion quilting.